These mounds were built for the burial of the dead by Woodland Indians who inhabited Wisconsin for a thousand years beginning 208 A.D. Intermixed with bird and animal shapes are often found round and linear mounds not intended to represent living forms. Unique to the world, Effigy Mounds are concentrated in southern Wisconsin. Burial was primarily in the "flexed" position with the arms and legs doubled over the body. They also practiced cremation and "bundle burial" in which the body was left above ground until decomposed and the bones gathered and placed in the ground as a bundle. Only rarely were artifacts interred with the body. These mounds, a gift of Mr. & Mrs. Earl W. Bailey and family, were restored and are maintained by the New Lisbon Lions Club. This plaque was installed July 4, 1976 and dedicated to the American Indian and to the preservation of their antiquities. 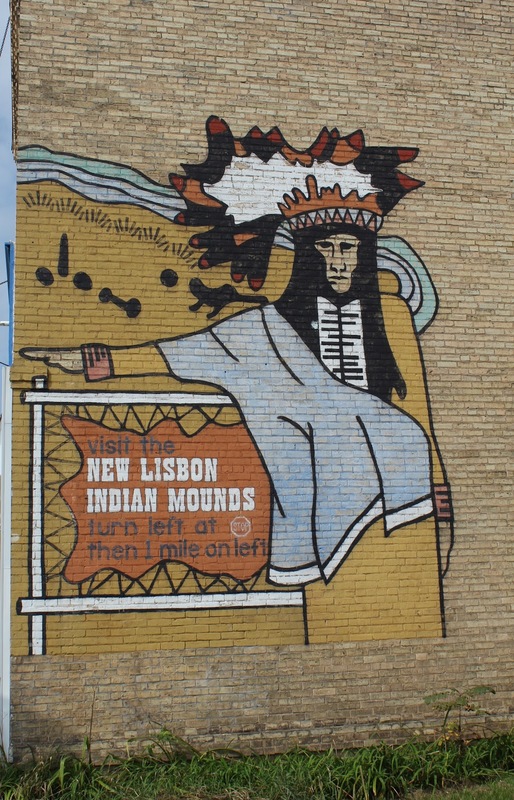 The New Lisbon Mound Group is located at the north end of Indian Mound Drive, north of its intersection with South Adams Street / Wisconsin Highway 16 / U.S. Route 12, at or near 601 Indian Mound Road, New Lisbon, Wisconsin 53950. 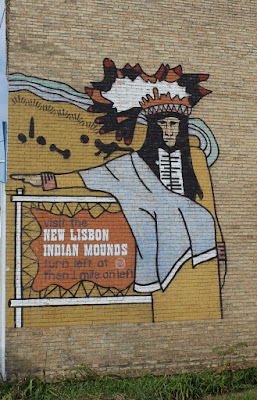 The mounds are listed on the National Register of Historic Places: Wisconsin. The marker is inside this kiosk. Follow this road to the mounds. Signage at the road leading to the mounds. Nearby sign pointing to the location of the mounds. The mound group is located in New Lisbon, Wisconsin.